I was in the library looking for a magazine on Biblical archeology when I passed an image on the shelf that stopped me. 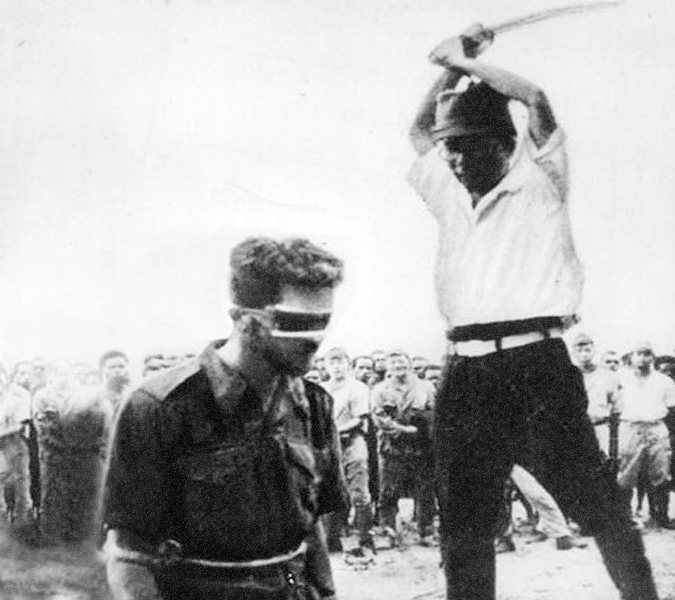 There was a cover of a military journal that showed a photograph of the moment before the execution of an Australian, Leonard Siffleet, in 1943 by Japanese officer Yasuno Chikao, who ordered a photo be taken of Siffleet’s murder. I took a picture of that image and haven’t forgotten it in the way you sometimes forget pictures, as if in the taking of them you allow substitution of your memory to keep them. You save them elsewhere and then can forget.